We visited stunningly beautiful volcanic Iceland with Adam Monk, Oli Valtysson and Iurie Belegurschi to learn a little of landscape photography - a new venture for me. We travelled for 10 days by bus right around the island on Route 1. The landscape was so varied and changed from lush green fields to mountains of volcanic ash within a couple of kilometers. 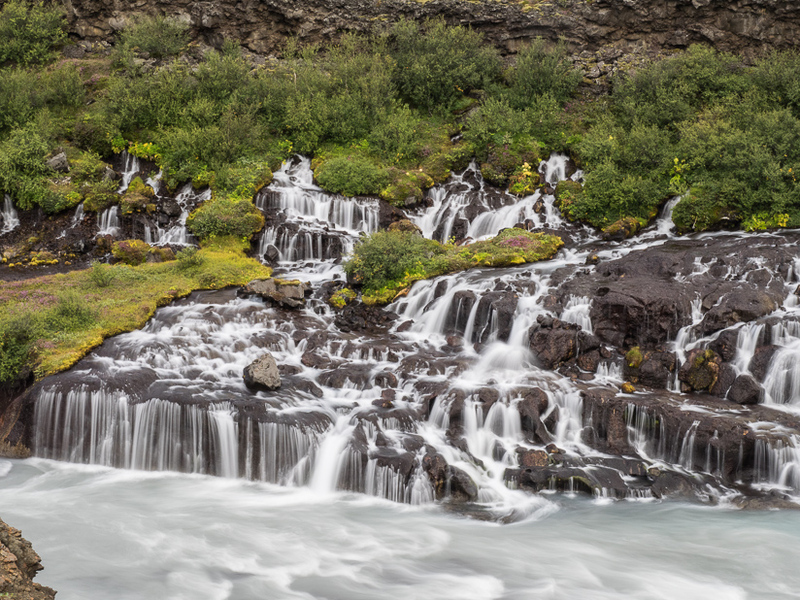 There was evidence of volcanic activity everywhere, steam belching from the ground in places which the Icelanders use for heating, and so many waterfalls tumbling down the slopes. We were fascinated by turf rooved houses, the beauty of the large fields with stocky Icelandic horses and all so different from anything I had seen before. We were lucky enough to see the Aurora Borealis. Altogether it was a wonderful experience and I hope we can return one day to explore some more.